The Case IH A series tractors offer great value for your operations. Economical yet featuring robust, durable, four-cylinder engines, choice of transmissions, and a comfortable operator's area. Horsepower Range 53- 70 (PTO 46-62). While getting top-notch performance from a utility tractor without sacrificing value. 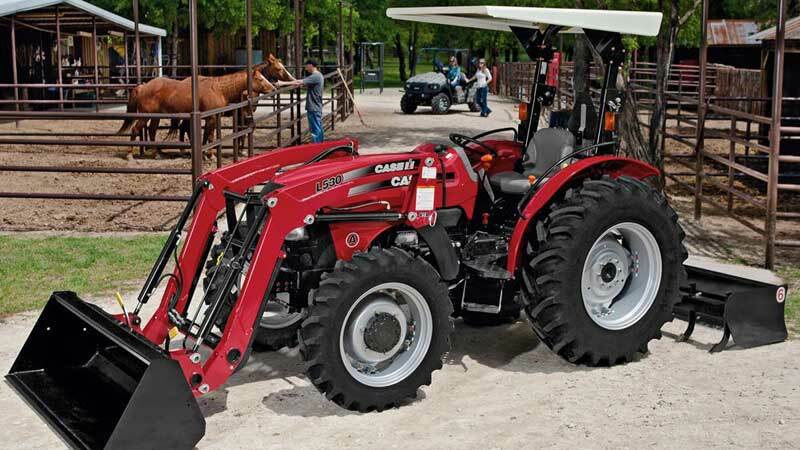 These tractors offer everything you want in a basic utility tractor, and more. These no-nonsense machines for smaller acreage farms, rural estates, landscaping and municipal applications, as well as for commercial users who need a reliable and efficient tractor. With performance features added, like a 3-point hitch with flexible link ends, a folding ROPS and a rear remote. That's performance above and beyond expectations.